Tons of freezers have built-in ice dispensers, but a lot of people never use them. But it turns out, all it takes to give it a new purpose is some duct tape, an X-Acto knife, and a piece of foam core. Endo over on Foodinese wanted to do something different for his wife for Valentine's Day. 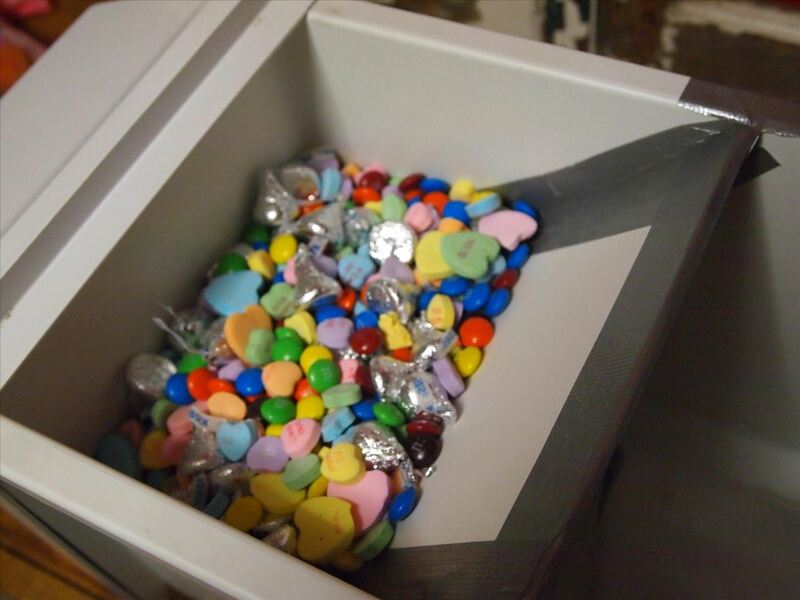 He knew that she always kept her candy in the freezer, so rather than just buying her more, he decided to turn the ice maker into a candy dispenser. The process is actually pretty simple. He removed and cleaned the ice tub from his freezer, then measured the width of the inside and the distance from the base to the drive shaft. Next, he used an X-Acto knife to cut a piece of foam core to make a small ramp inside the tub, leaving a hole for the drive shaft. 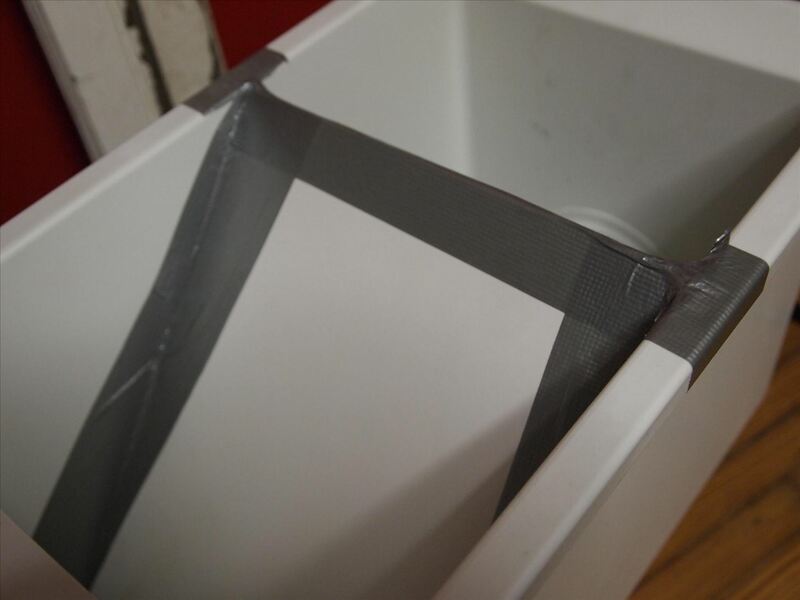 Finally, he slid the foam core into the tub and duct taped the ramp in place. It's as simple as that. Just mix up candy that's small enough to fit through the dispenser and fill it up. Just make sure the ice maker is set to cube, not crush! Check out the video to see more of the process and how it works. If you want to try it yourself, head on over to Foodinese for the full tutorial.